medium wide-bodies: from 4,490 a/c in CMO2012 to 2,810 a/c in CMO2013. 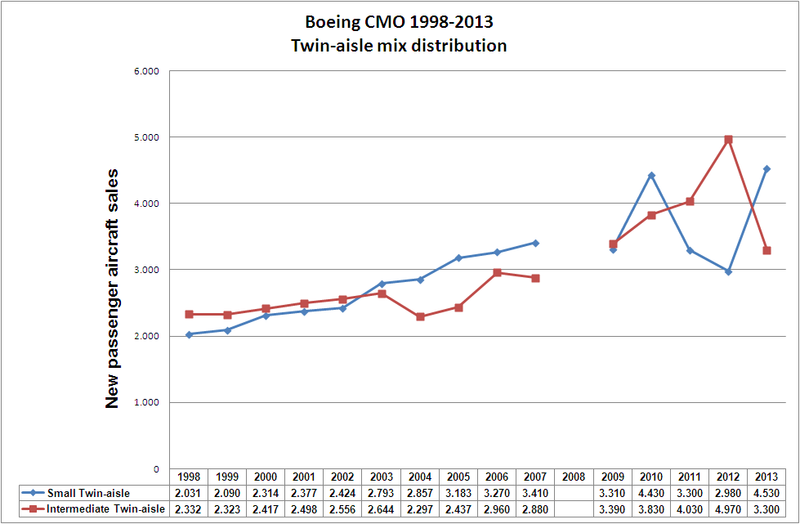 Twin-aisle mix distribution (Boeing CMO 1998-2013). From 2003 to 2007, the mix is reverted, possibly to favour the launch of the 787. In 2008 the CMO did not provide the split. From 2009 to 2013, you can see that both trends in the forecasts are erratic… why? Only Boeing knows.